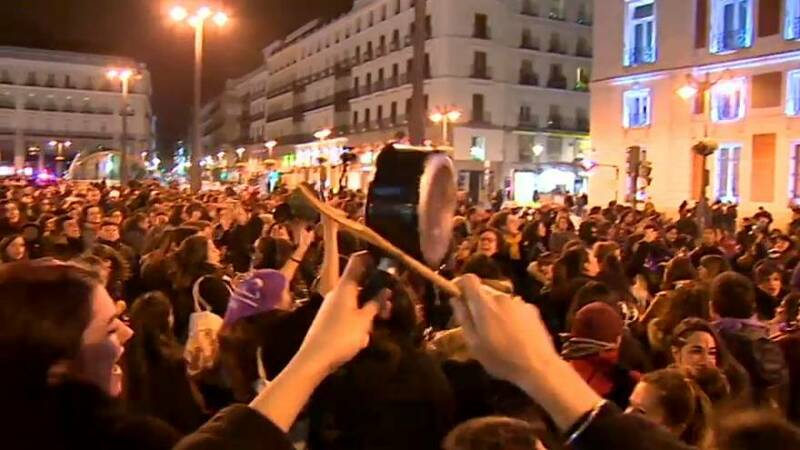 Women in Madrid banged pots and pans on Friday as they started a feminist strike to mark International Women's Day. Hundreds of thousands of women protested throughout the country to call for greater gender equality. Women's rights have become one of the hot topics in the run-up to a general election next month. A new far-right party, Vox, which has called for a 2004 law on domestic violence against women to be scrapped, stands to win dozens of seats, according to opinion polls.